Leicester City manager Claude Puel denies having any kind of problem with star striker Jamie Vardy. 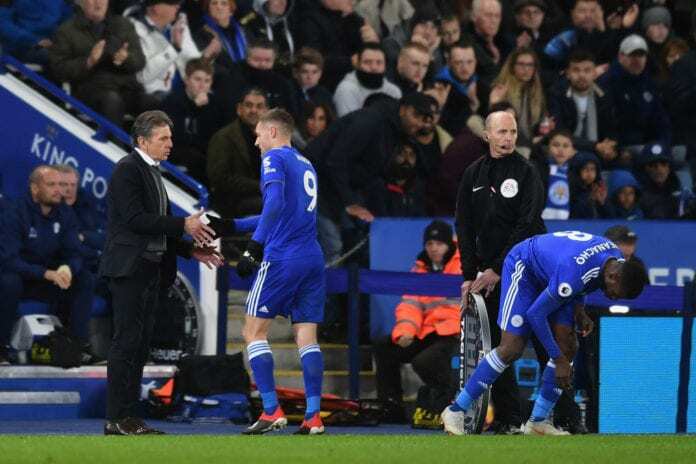 The former England international seemingly reacted in an angry way while speaking to Puel following Leicester’s 1-0 defeat to Manchester United last Sunday at the King Power Stadium. It was the Foxes’ third consecutive home loss and they failed to put in a convincing show in front of their supporters after a slow start. United made sure to punish Leicester for their start with Paul Pogba setting up Marcus Rashford for the only goal of the game in the ninth minute. Upon the final whistle, Vardy didn’t hide his frustration over the result which has prompted talk of an uneasy relationship with Puel. Speaking ahead to Sunday’s trip to Tottenham though, Puel refuted suggestions that all is not good between himself and Vardy. “I have a good relationship with him. We know Jamie and after he has lost, he is never happy and that is normal for a player,” said Puel, according to Sky Sports. “If I thought one of my players was disrespectful, to me or to the club, there would be a sanction. The Frenchman confirmed that Marc Albrighton will need to undergo surgery on his hamstring problem. 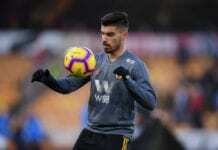 As a result, the English midfielder is set to be sidelined for the rest of the season after the injury turned out to be more serious than the Leicester medical staff had imagined. “We know the injury to Marc Albrighton. He has had a serious hamstring injury and it’s bad news for us, for the team,” added Puel. “He will not be available until the end of the season.